This is it ……..Paradise. They don’t call Samoa the “Jewel of the South Pacific” for nothing. With tourism only beginning to take hold, visitors will experience a traditional way of life in a natural setting, and largely unaffected by the modern world. Also called the Heart of Polynesia – Samoa boasts an intact Polynesian culture, whose charm will capture your imagination within a few minutes. Famous as the home of author Robert Louis Stevenson, Samoa is known for its natural beauty and gentle pace of life. Dominated by mountain ranges, the volcanic Samoan islands are surrounded by a fringe of coral reefs and lagoons. Inland, the rugged interior of the Samoan landscape hides virgin rainforest, tumbling waterfalls, steep gorges and spring-fed pools and streams. Villages and coconut plantations lace the coast, with its sweeping white beaches, palm trees and turquoise lagoons. Samoa is a traditional Polynesian society, where culture is very much a part of everyday life. Villages are very much extended families, and village chiefs (matai) still gather together to administer village affairs. 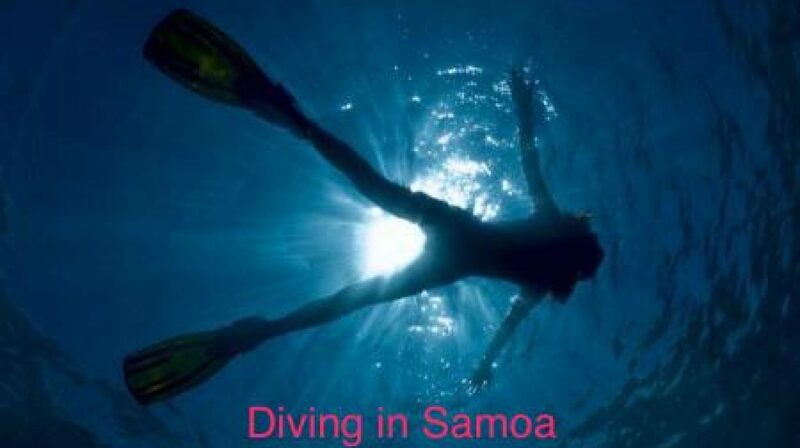 On Samoa, approximately 190 000 inhabitants still live in age old tradition called “Fa’a Samoa” or “Samoan way of Life”. It is no surprise as you go driving through the colorful villages along the coastal roads, to observe Samoans sleeping in one of the many fales by the beach. The clock here runs a little more slowly than at home and soon you too will readjusting to “Island Time”. On Sundays you will wake to a mist of smoke over the islands as locals prepare for their traditional UMU family Sunday meal. If you are given the opportunity you should not miss out on one of the Sunday services, an experience not to be forgotten. The people of Samoa sing their prayers with powerful voices, all dressed in white Sunday clothes and Lavalavas. The singing and church bells can be heard from miles away. After the church service the Umu are eaten with family and friends before everyone settles for a well earned sleep. Samoa offers a wide range of accommodation, from the traditional Samoan beach fales to beach and more modern resorts and large hotels. Upolu is where the largest hotels are found. There are selections of standard and budget facilities and in many traditional Fale Resorts as you step out the door you will find yourself on a white sandy beach just metres from the sea. Wherever you are staying you will not run short of things to do. Biking, caving, hiking, bowls, golf, shopping, art and craft galleries, kirikiti (Samoan cricket), squash, tennis, scuba diving, surfing, snorkeling, watersports, fishing, kayaking, paopao (Samoan outrigger canoes), sailing , fia fia nights, fire dancing exhibitions, cultural tours and of course swimming in turquoise warm water. With such a list, boredom is not an option. Robert Louis Stevenson the great author of books such as ‘Treasure Island’ and ‘Dr Jekyll and Mr Hyde’, settled in Samoa in the early 1890’s with his family. The Samoans gave him the name ‘Tusitala’- meaning teller of tales. You can visit his beautiful home, which is now a museum at Vailima. Upolu and Savai’i, like the smaller islands, offer stunning views of the bays and waterfalls surrounded by tropical rain forests. For more detailed information of all tours on the island archipelago Samoa, beautiful nature scenes and beaches, as well as an overview of all the places of interest, go to Samoa Visitors Bureau , on Beach Road in Apia. In Samoa, the art of Tattooing is celebrated. In a special if somewhat painful ritual using a hammer and sharp needle tattoo sessions take place in privacy, away from public view. Tattoos are generally done in pairs so that each participant has a rest from the pain at intervals while his or her ‘partner’ goes under the needle. The Samoans ‘wear’ their tattoos with pride. It is best not to visit a village on Sundays (unless you have been invited). Sunday is a holy day and the church attendance with the following Umu meal is revered. Likewise, you should not swim on Sundays in the proximity of villages nor perform any work. If you stay overnight in a village, you should never accept an invitation of another family from the village as to do so would be insulting your host family. When entering a fale, community fale or house please take off your shoes. The “SA” or time of prayer is holy. The SA takes place in some villages between 6 and 7pm daily. A “gong” reminds residents that the SA is approaching, and a second gong marks its beginning. During this time visitors should not disturb locals for any reason at all. You may find that some of the smaller side streets are closed off during this time. A third gong – approximately 10-15 minute later – indicates that SA is over. While visiting Samoa remember to never be impatient. If something does not work out the way you want it to, remember that you are away from home, and simply enjoy the Samoan way – the Fa’a Samoa.